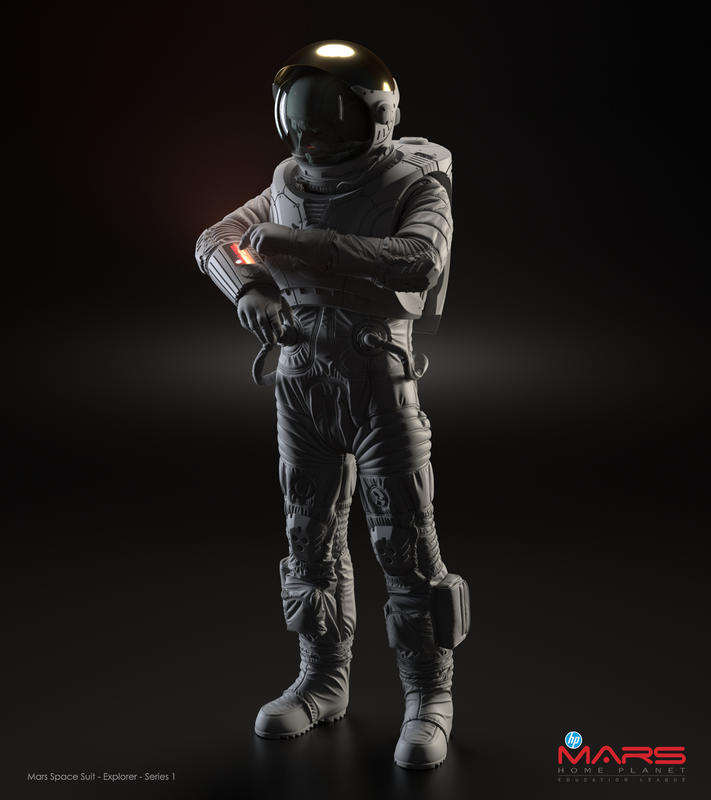 Mars space suit design for the HP Mars Home Planet 3D Modeling Challenge at Launch Forth. 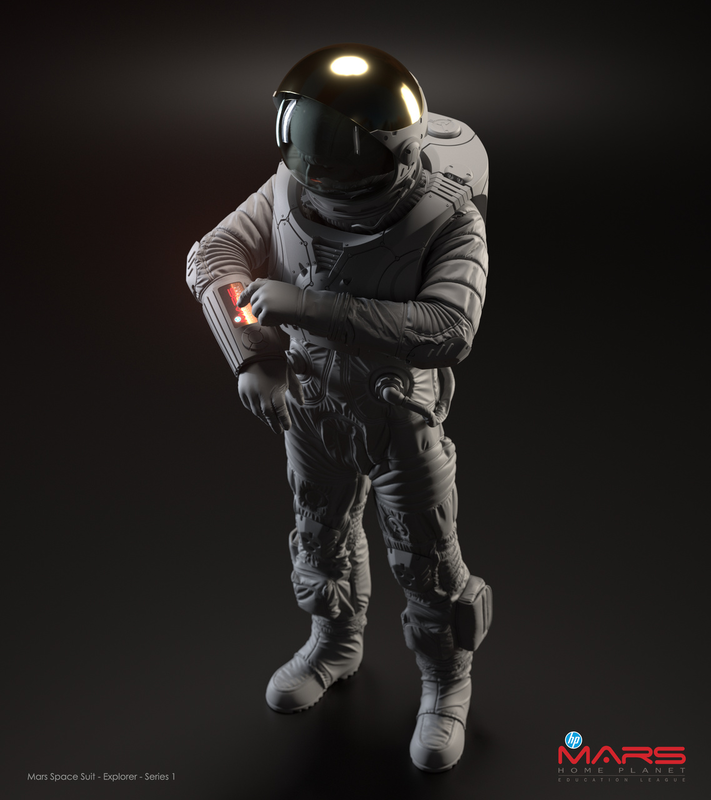 "The Explorer Series 1 space suit is designed for the harshest most unforgiving Mars environment. More lightweight and less cumbersome than it's predecessors, yet still rugged enough for lengthy Martian travel, the Explorer Series 1 is well suited for both light and dark exploration. A pair of shoulder-retractable, high-beam headlamps in combination with dual visor shielding make visibility a non-hindrance. 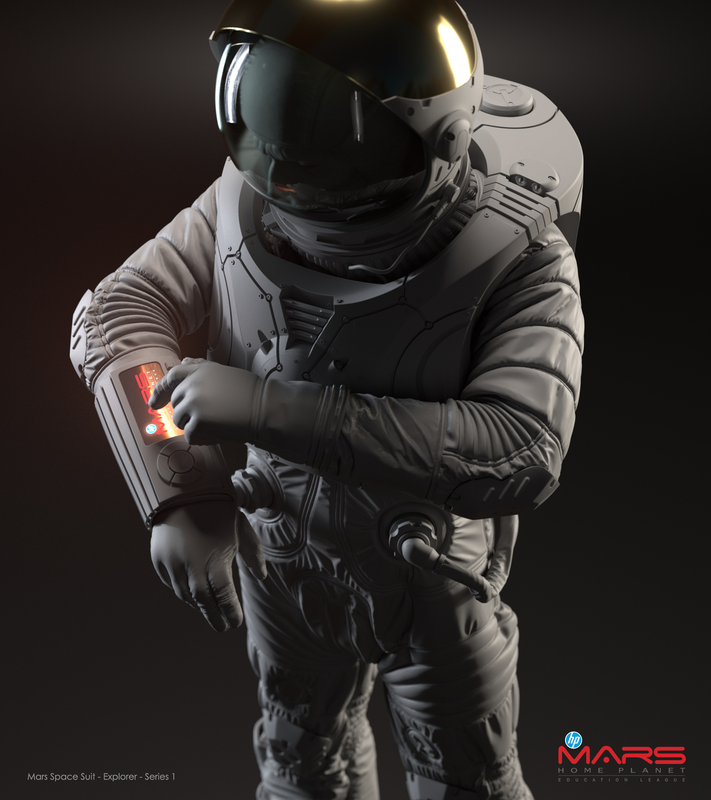 The flagship of the Explorer Series 1 is the AI assisted Gauntlet control system, which can be manually controlled by the wearer or via voice recognition. The system is so versatile that the Gauntlet AI can take full control in case of emergencies." Modo's MeshFusion was used extensively in the design of the hard-surface components. Nuke for minor post work.